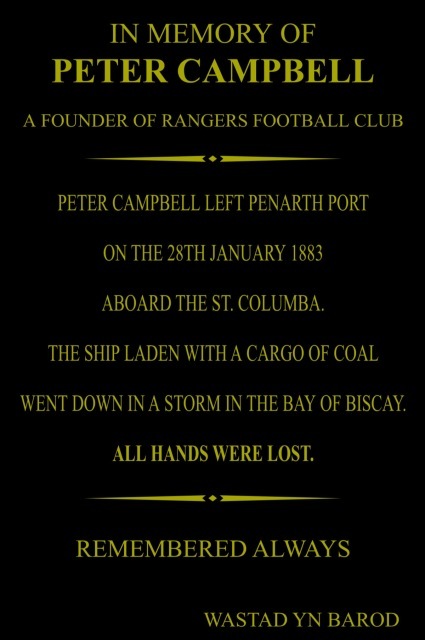 The new plaque in memory of Rangers founder Peter Campbell was unveiled in Penarth on the 22nd July. 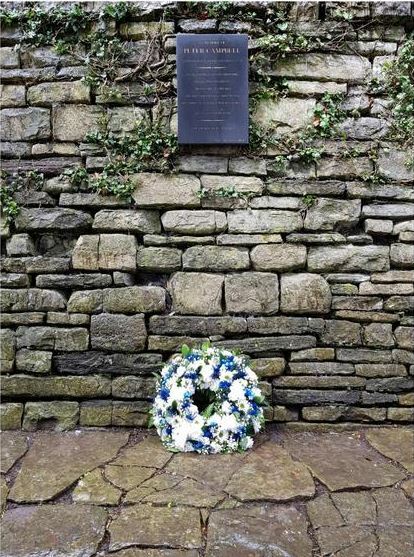 In a moving ceremony accompanied by a lone piper playing traditional laments, the plaque was unveiled by members of the Cardiff True Blues Rangers Supporters Club, accompanied by representatives of the Rangers Graves Restoration Project, who were instrumental in organising for the plaque to be erected. The plaque, sited in the Italian Gardens on the promenade, overlooks the Bristol Channel close to Penarth Docks, from which Peter set sail on his fateful final voyage. The event was well attended, with Rangers fans travelling from as far afield as Scotland, the south of England and various parts of Wales to take part. Following the unveiling visitors joined the members of Cardiff True Blues RSC at Canton Liberal Club for a buffet and refreshments. 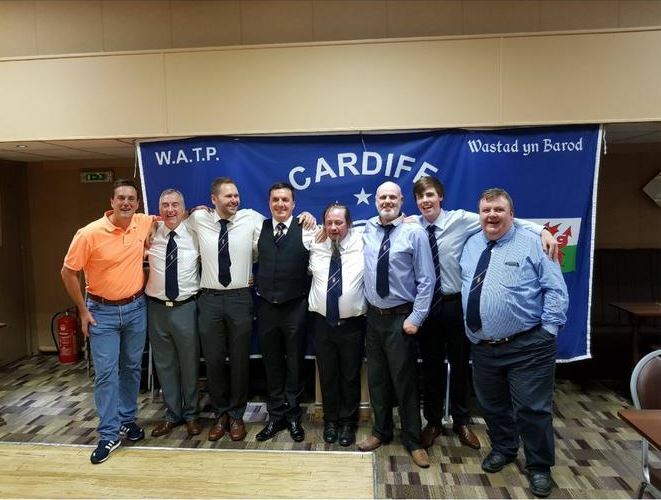 The members of Cardiff True Blues RSC would like to thank all those who attended, and in particular the representatives of the Rangers Graves Restoration Project for their hard work in making the event possible. 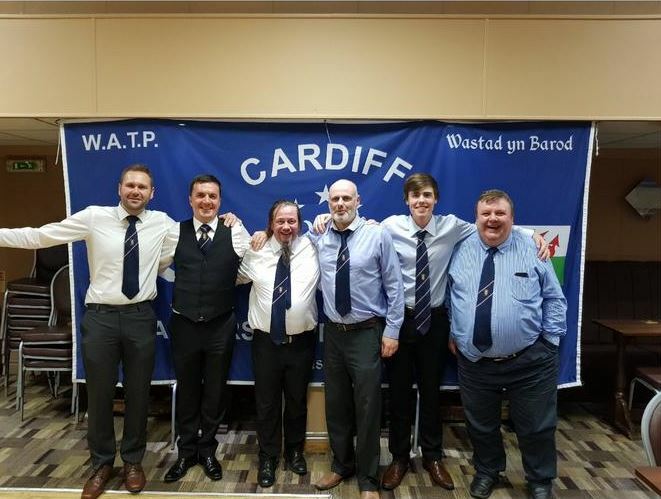 Some Cardiff True Blues RSC members and guests after the unveiling.